Sometimes it easy to overlook certain aspects of a business. We at Hasseman’s don’t want you to forget about some eye-catching marketing signage we provide which can noticeably brighten your presentation! 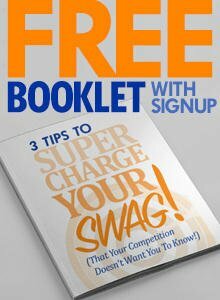 Just adding a little bit of flair can freshen up your approach at promotional events. Check out some of these amazing promotional signage ideas! 33.5″ Economy Plus Retractor Opaque Fabric Kit: This is a memorable piece to add to any display! The single-footed base is made of heavy-duty aluminum for increased stability. This item measures 33.5 in (W) x 83 in (H) x 15 in (D) and is equipped with a 2-part shock corded and telescoping pole with flip lock lever for easy adjustments. This product also comes complete with a 2-year warranty on hardware. 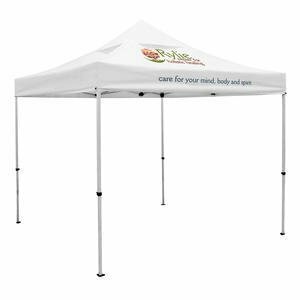 Premium 10′ X 10′ Event Tent Kit with Vented Canopy (Full-Color Thermal Imprint, 2 Locations): Keep your table protected from the elements with this promotional tent. Provide comfort for your clients and advertise your logo at the same time. 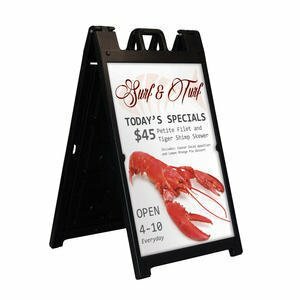 Signicade Deluxe A-Frame Single Sided Kit: Place this eye-cating display outside any building to bring in people walking past your store! This is an ideal way to let the public know what is going on! Constructed of tough plastic, this A-Frame is maintenance-free and weather-resistant, making it perfect for outdoor use. 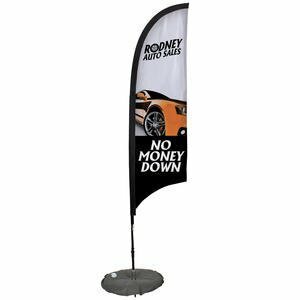 7′ Razor Sail Sign Kit Single-Sided with Scissor Base: Capture the attention of all with this unique shaped sign! This design will add extra depth to your chosen print. 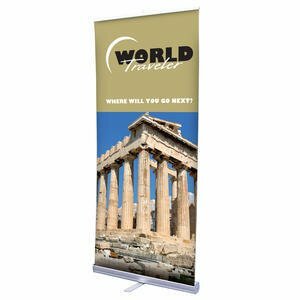 The slightest movement makes these banners flutter, creating motion to attract attention to your message! 8′ Standard Table Throw (Full-Color Thermal Imprint): Don’t let your tables look plain again! Those white plastic covers don’t communicate quality – instead take a different approach. 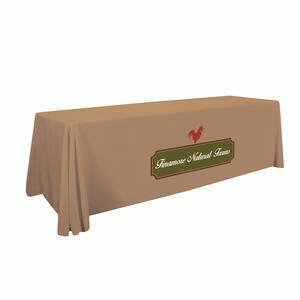 Our most popular table cover offers a simple way to get your message noticed. Let your logo or marketing message be the thing that brings customers over! This throw covers four sides of the table, and is flame retardant, machine washable and wrinkle resistant. These are just a view of many services that Hasseman’s can offer. Please check us out and see what else we can provide to make your marketing easier! 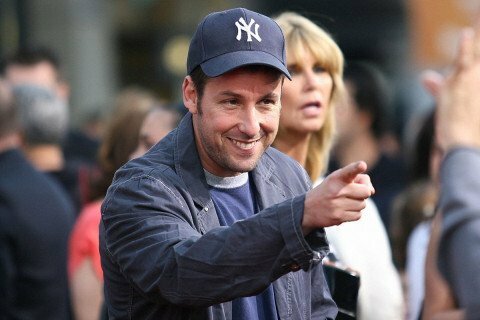 Join Here! 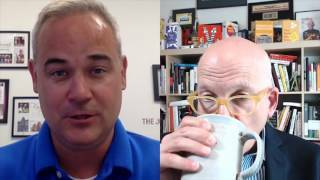 How to Differentiate Yourself and Your Business.